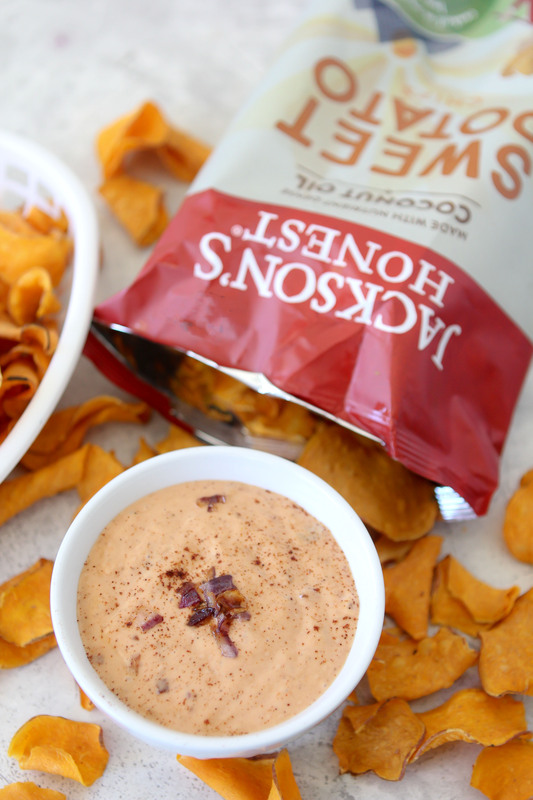 Continuing my Summer Snacking Series with Jackson’s Honest, I created THIS delicious dip for you that pairs perfectly with their Sweet Potato Chips. If you missed my Loaded Ranch Dip (that can double as a dressing) make sure you click back over and check it out. I wanted to create a dip that would compliment the light sweetness of the sweet potato but still bring a bold flavor and I think I nailed it. 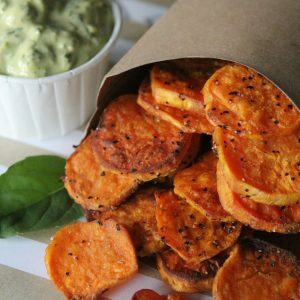 I’m also going to venture to say this dip would be amazing with ANYTHING sweet potato, roasted, baked etc. You can also thin it out with a bit of almond milk to make a dressing! 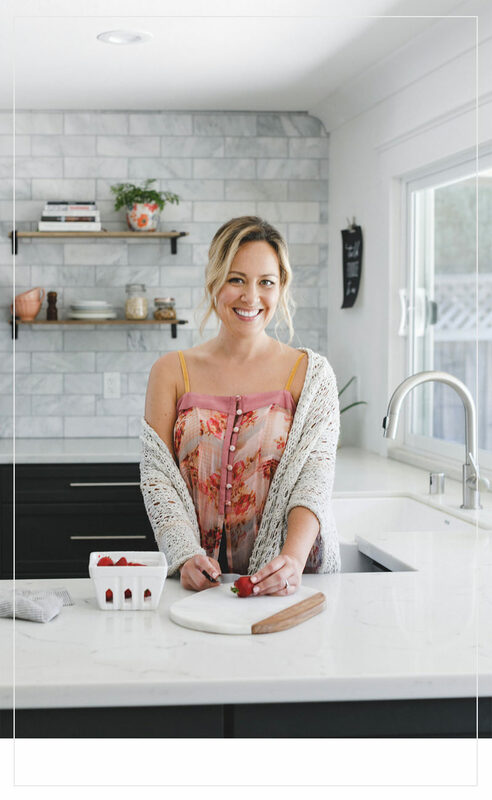 Something that’s always been important to me from day one of creating this blog was making it more than just creating pretty recipes, I want to change the way people look at feeding themselves and what they’re putting into their bodies. It’s more than classifying foods as “good” or “bad”. What we put in literally feeds how we function, not just physically but mentally. 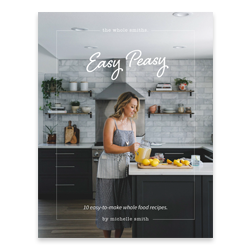 Yes, eating fresh veggies and sustainable meat is great but that’s not going to be attainable all day every day for most people. And that’s ok. Yes, that should always be the majority of what we eat, but we also need convenience and we also need to be able to indulge and snack and not feel bad about that. In short, we need quality packaged foods in addition to our fresh staples. I think that something we can all agree on. That’s where companies like Jackson’s Honest come in. They’ve taken one of our favorite snacks (ok, MY favorite snacks), chips, and cleaned them up. All of their chips are made with coconut oil which is amazing and a far cry from all of what I like to call the “franken-fats” that are so bad for us. AND they’re crazy delicious. I don’t feel bad about giving them to my kids whatsoever. Not like those Flamin’ Hot Cheetos they keep asking for. (Insert eye roll emoji HERE.) An extra bonus, these won’t turn the kids’ fingers that neon shade of orange that will suddenly appear on everything they touch. 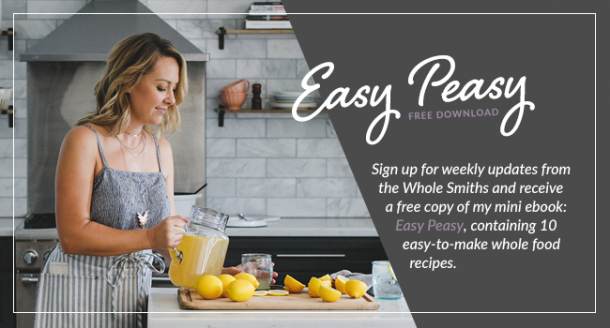 I love supporting companies like Jackson’s Honest because they represent what real people are eating and making it better and that’s what my blog is about. It’s not about counting calories, restricting yourself or labeling food as “good” or “bad” (although I DO reserve the right to make fun of Cheetos) it’s about making better choices with your food and creating a healthy diet for yourself that’s realistic and attainable. 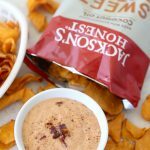 So when I had the opportunity to create a dip that paired well with one of my favorite chips it was game on! But like I said, I love the versatility of this dip. You can obviously use it to dip chips but if you have extra you can use it for a variety of veggies, a dressing, in a taco, on a burger whatever! Let your imagination run wild my friends. And with that, I say enjoy. And get your dip on! 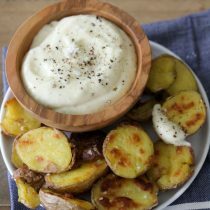 A tasty dip that doubles as on aioli for veggies or chips. 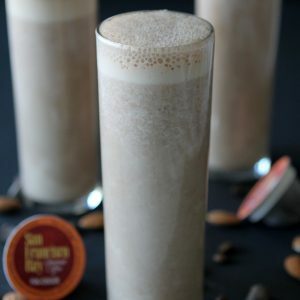 Paleo friendly, gluten-free and dairy-free. I purchased your recipes on 6/20/16. I was in France at the time. I had no idea that I wouldn’t be able to download it when I got home because it has expired. Can you send it to me again?